People have been preparing for the 89th Academy Awards ever since the 88th was over. That includes food, music, performers and of course the movies that were made. As if the whole year was a huge build-up to this amazing event. Yet, even with so much effort, a few mistakes are always calculated here and there. We always pray though that they happen off stage, but this year luck wasn’t on our side. Emma Stone got an extra award, which made her very happy – for a few moments. Up until the point when it turned out that there had been a mistake. 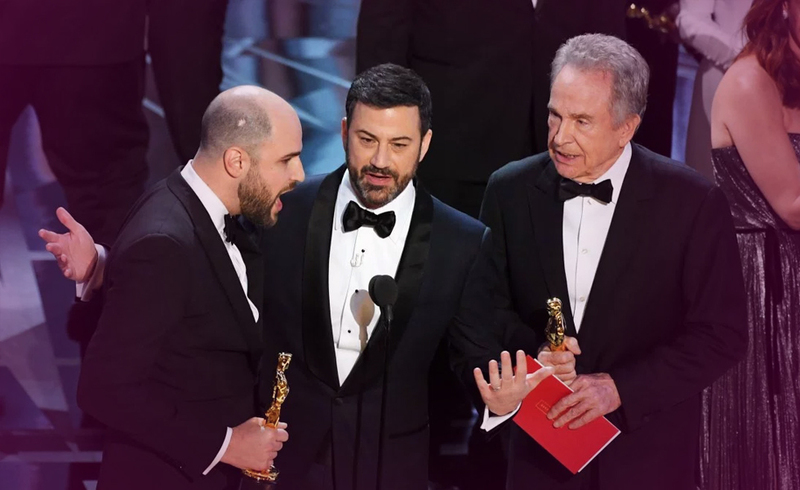 The award for best picture wasn’t really for La La Land, but Moonlight. The envelope that contained her name was correct, but not presented at the right time. Okay, she had plenty of reasons to celebrate, regardless of what happened. What about Moonlight? They made history, winning big. Even if the moment didn’t seem as remarkable as it should have been. The controversial drama about a gay black man stirred many emotions, and became first in many ways. The director, Barry Jenkins was shocked and surprised, saying “Very clearly, even in my dreams this could not be true.” It isn’t a joke, like many thought at first. It was a well-deserved award, followed by many others. However, a moment like this can overshadow both the success of the real winner and any upcoming ones. It also makes the ‘fake’ winners feel emotionally disturbed. Just imagine thinking that you won, and then the disappointment that comes with realizing it was a mistake. How many of them were questioning whether they truly won, or if them getting an award is another hiccup? Certainly, there is more stir about the mistake than the actual results. Will this effect next year’s Oscars? What about those involved? Can a mistake like this annul everything they achieved? Let’s ask the cards what this will mean for Moonlight. There is further public recognition in the cards. Everyone worked really hard to make Moonlight a success. They achieved that, getting past the confusion. The message is to have faith and believe in what you have achieved so far. It is only the beginning. The Queen of Wands is a vibrant, fiery figure, full of energy. The creators of Moonlight are filled with ideas now, ready to take on their next challenge. The first impression was powerful, regardless of what happened. This is a time when hard work pays off. The rewards are there, ready for the taking. However, this card reminds us that with an award, comes responsibility. Be careful not to take on too much, fuelled by your victory. It can have a backlash later.